VICTORIA, BC – The Canadian Sport Institute Pacific is preparing to host some of the brightest coaching minds in high performance sport for their 2018 International Coaching School at their Victoria Campus between May 26th and June 1st, 2018. The International Coaching School and Sport Performance Coaching Certificate is designed for coaches working with a range of developmental athletes, predominantly at the ‘Train to Compete’ stage of the Long-Term Athlete Development (LTAD). It features all Multi-Sport NCCP Competition-Development Theory modules that provide a ‘next step’ for those looking to enhance their coaching expertise with a focus on building and supporting the developing athlete. The Sport Performance Coaching Certificate offers coaches enhanced training in the NCCP Competition-Development modules in an interactive multi-sport setting. Coaches will have the opportunity to complete up to eight NCCP modules, as well as earn the Sport Performance Coaching Certificate from the Canadian Sport Institute Pacific, in only one week. 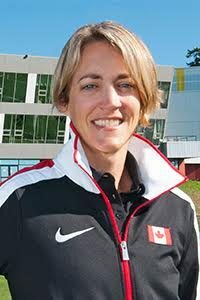 The International Coaching School will take place at Canadian Sport Institute Pacific’s Victoria campus at 4371 Interurban Road. Courses and sessions will be facilitated by professionals with coaching, managerial, and training backgrounds at local, provincial, national, and international levels. Facilitators include those from Canadian Sport Institute Pacific, the Canadian Olympic Committee, Douglas College, One Smart World, Own The Podium, and Royal Roads University. Click here for registration and additional information for the 2018 International Coaching School.